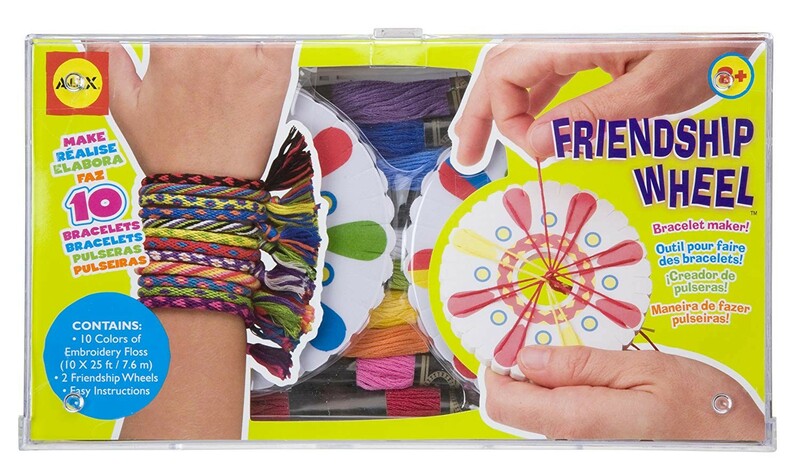 Want a new and easy way to make friendship bracelets? 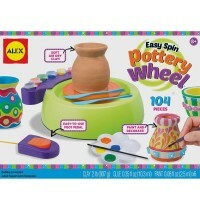 With Friendship Wheel by Alex Toys, you can! 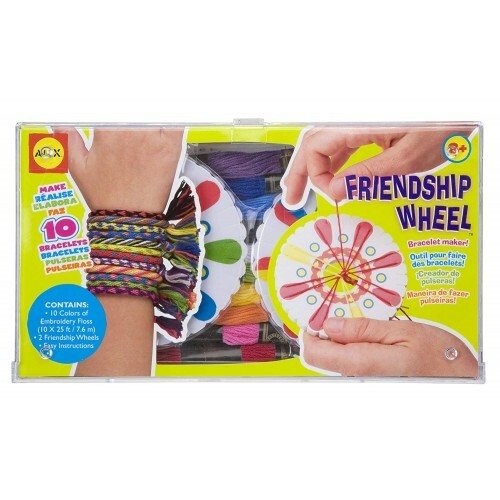 The friendship bracelet craft set comes with two wheels, ten different colored yarns, and lets you make up to ten amazing bracelets! 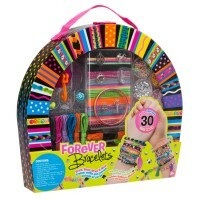 The instructions that come with the accessory are easy to follow so you'll be weaving friendship bracelets in no time. 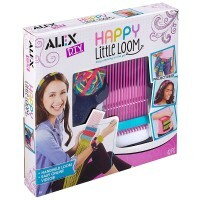 Just lift each thread, hook it to the opposite side and turn! 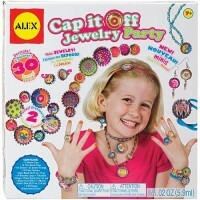 Bring Friendship Wheel to a slumber party, and let everyone make one, or make the accessories by yourself. 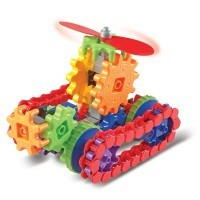 You can even take the Friendship Wheel on a long car ride for something to do! 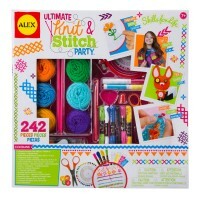 This girls' favorite fashion craft kit from Educational Toys Planet is a fun art project for any child! 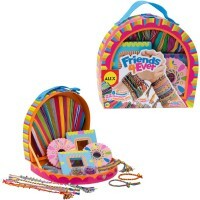 Dimensions of package 8.9" x 4.9" x 1.4"
Write your own review of Friendship Wheel. 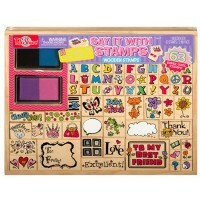 Rating: 4 by Caroline R, NC I ordered this as a small, secondary gift for my granddaughter. Neither she nor her mom mentioned it during their 'thank you' call. 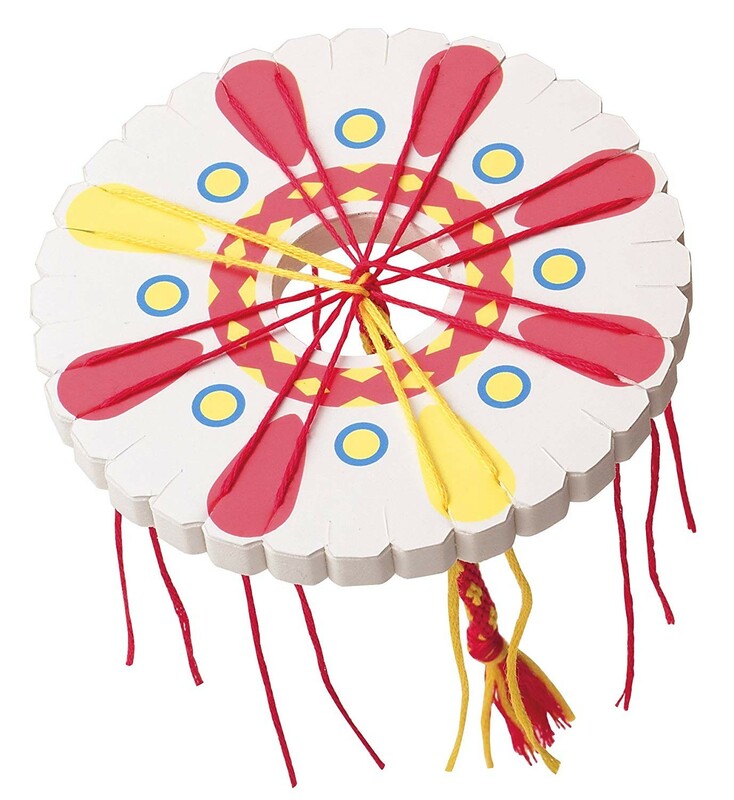 I think it was out-wowed by the sewing kit. Rating: 5 by Susan, WA My daughter liked it. 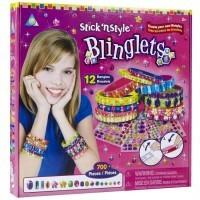 She's into 'friendship bracelets stage', and tries to make friendship bracelets out of anything she can use. She made a few nice ones with this kit.